Since launching Craft Sync, we’ve seen usage of this service continuously grow and have received a groundswell of support for this new approach to syncing with InVision. By putting Craft Sync right in Sketch and Photoshop, we enable much faster syncing of screens to InVision and avoid some of the major technical limitations that appear when processing those files on our servers. Syncing a single artboard via Craft Sync finishes in a few seconds whereas it can take a couple of minutes for a comparable Sketch file to process when uploaded to our servers. You also don’t need to upload your fonts when using Craft Sync because all of the processing happens within Sketch right on your computer using your already installed fonts. That lets you use TypeKit, SkyFonts, and other subscription font services that don’t work today when uploading your Sketch file. Finally, Craft Sync opens the door to new time-saving features like Inspect, which enables your entire team to view your design’s details and enables quicker development, or Craft Prototype, which lets you add hotspots and transitions right within your Sketch document. Craft Sync is also part of our free plugin Craft Manager. When you install Craft Manager, you not only have access to Sync, but you can supercharge your screen design process with other tools like DSM, Prototype, and Freehand that all make your design workflow even faster. Given all of that, we feel strongly that Craft Sync is the best way forward to ensure a smooth customer experience when getting content from Sketch and Photoshop into InVision. As a result, we are announcing the end of screen generation when Sketch, PSD, and AI files are uploaded. We will be making these changes in two phases to minimize the impact on your design workflows and to give you time to migrate over to Craft Sync if you haven’t already. Monday, 19 June 2017: We will continue to temporarily generate screens and assets when a Sketch, PSD, or AI file is uploaded to InVision by customers who signed up prior to this date. However, all new non-Enterprise customers who sign up after June 19 will be required to either use Craft Sync to generate screens directly from Sketch or Photoshop or will need to upload flat image files instead. 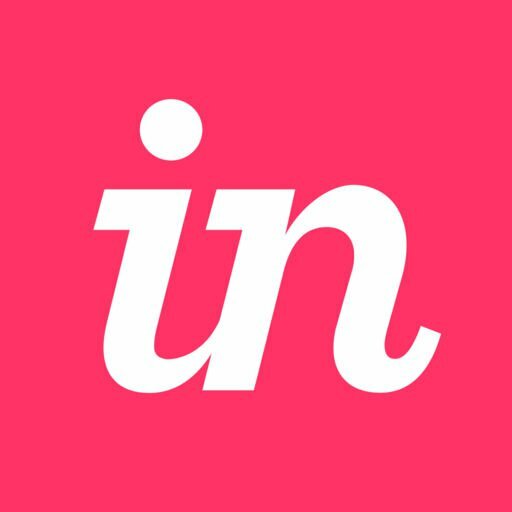 Monday, 14 August 2017: Screens and assets will no longer be created when a Sketch, PSD, or AI file is uploaded to InVision. After August 14, all customers will be required to either use Craft Sync if they want to generate screens directly from Sketch or Photoshop, or will need to upload flat image files. Despite the phased approach over the next two months, we encourage everyone to begin transitioning to Craft Sync as soon as possible so that you can start integrating it into your daily design workflow now. If you have any questions, feedback, or trouble with using Craft Sync we’re here to help. How do I get Craft Sync? You can get started going to https://www.invisionapp.com/craft and downloading Craft. See Using Craft by InVision for more detailed installation instructions. Dragging and dropping Sketch, PSD, or AI files into the view of screens will no longer work and will generate an error once processing of these files is no longer supported. Dragging and dropping them or using the “Add a new file” button when viewing the “Source Files” folder in your view of assets within a prototype will upload but not generate screens from the file. Inspect data won’t be generated for uploaded Sketch or PSD files that are uploaded to InVision. Instead Craft Sync will be the only way to generate Inspect data. You can continue to upload these files to InVision if you’d like to use us to share files with your teams and clients, but we will no longer generate screens from these files after August 14th (for existing users) or June 19th (if you’re a new user). Craft Sync defaults to syncing screens @2x. If you work primarily with @1x screens you'll want to click the gear icon in the Craft Sync plugin and then change "Export pixel density" to 1x before syncing your first screens using Craft Sync. Otherwise, you may see hotspots move around if you change from @1x to @2x mid-project. Craft Sync doesn't currently sync a copy of your Sketch file to our servers, though this is a popular request. For now if you need to share your Sketch file with other collaborators you'll want to use whatever file sharing service (e.g. Dropbox, Google Drive, etc) your company has authorized to share copies of your source files with other collaborators. What will continue to work? All previously uploaded screens and assets will continue to be available.